The app was optimized for the 64 bit operating system iOS 11. We have implemented a new pin code request for iOS 11 which is being triggered automatically when the app is being started. 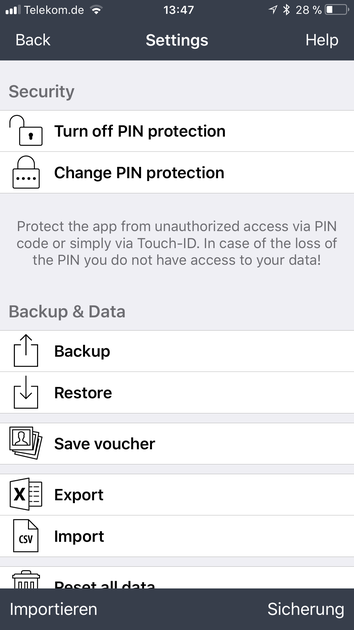 You can set a delay in the settings so that you will not have to enter the pin every time you switch between apps. 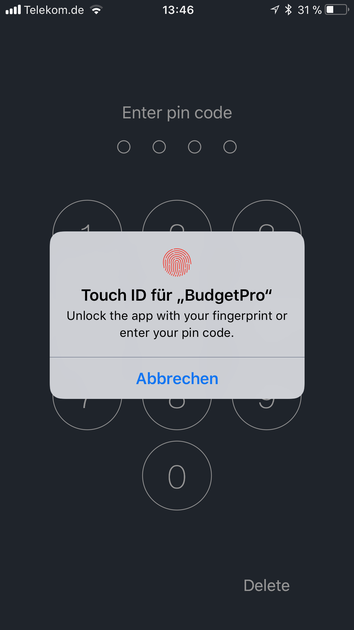 Of course we support Touch-ID as well as simple numeric input. 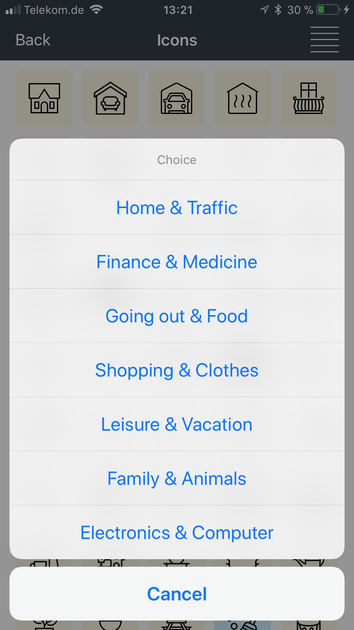 You can allocate the so-called rapid entry buttons for recurring payments in the settings. They consist out of a booking definition, a graphic and a background color. You will find a total of 365 useful symbols available for usage. The new version contains an additional 75 graphics. In order for you to faster choose a respective symbol, 7 new groups (Home & Traffic; Finances & Health; Going out & Food; Shopping & Clothing; Leisure & Vacation; Family & Animals; Electronics & Computer) have been introduced with an even distribution of the symbols. 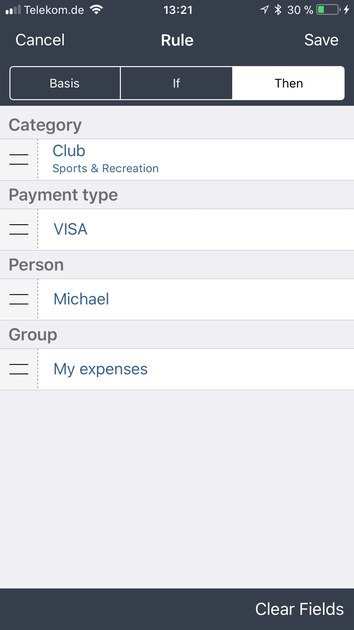 You can choose a group by utilizing the menu symbol on the upper navigation bar. 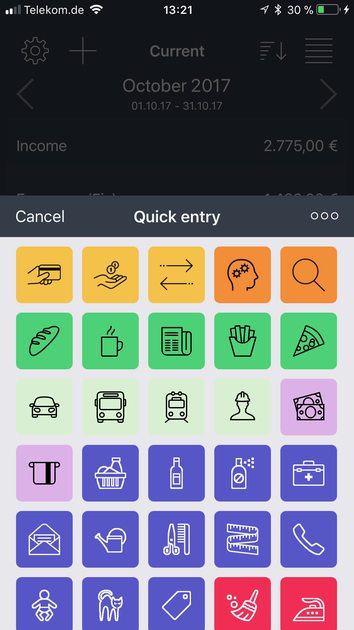 You can manage your individual rapid entry keys within the app by using the plus symbol on the navigation bar. 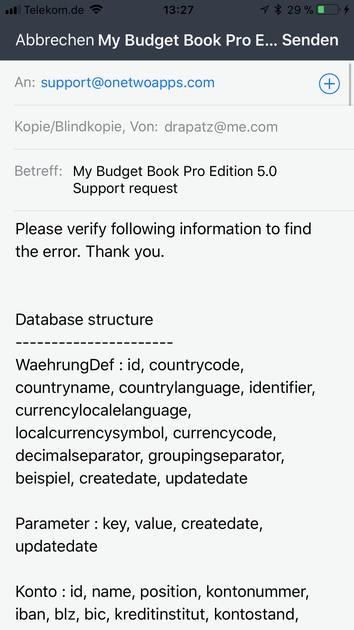 After a symbol is clicked on, you can change the amount or directly accept the book entry. If you click on the left array of the display you will be able to edit the whole book entry. 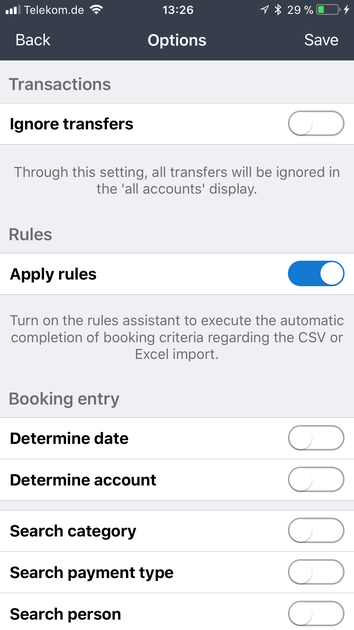 Many CSV/Excel formats do not transfer any booking criteria (category, payment method, person, group). This results in increased post-editing as well as the user having to constantly check the imported book entries as well as adding any missing information. The rules wizard was developed for this purpose. Simply define your own rules (If-Then) and determine the conditions by which the booking criteria shall be allocated. The more frequently you enter CSV files, the more precise your rules become. The booking bar of the important book entries contains the entries, which have been automatically altered. 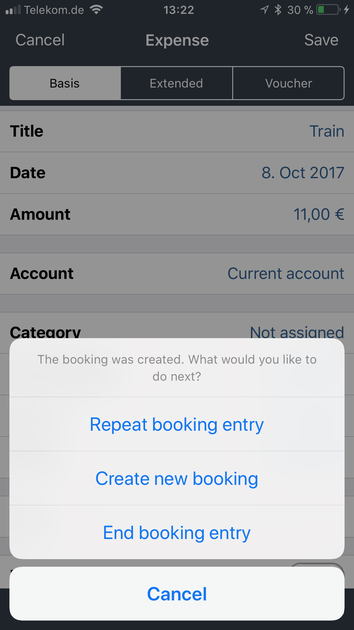 This is a convenient feature to edit bookings or to define new rules. You can subsequently reverse the import and repeat the process with the new rules in place. You will quickly figure out the advantage this feature offers you by trying it out. You will always have the possibility of creating a new rule from a book entry in the booking lists. Furthermore, the suggestions for the booking entries have been improved. In these two displays you can swipe to the left or to the right on the lower post display to swiftly alter the display (Detailed & Compact). 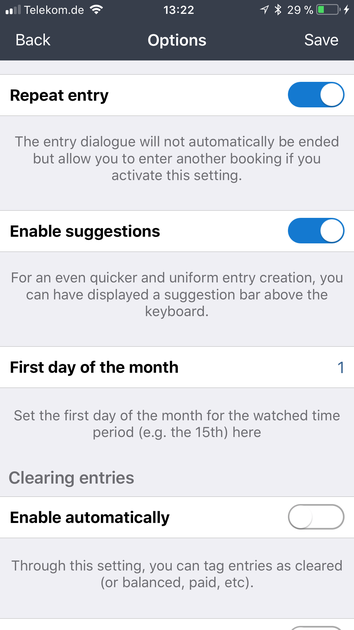 You would alternatively adjust this setting by utilizing the view dialogue. 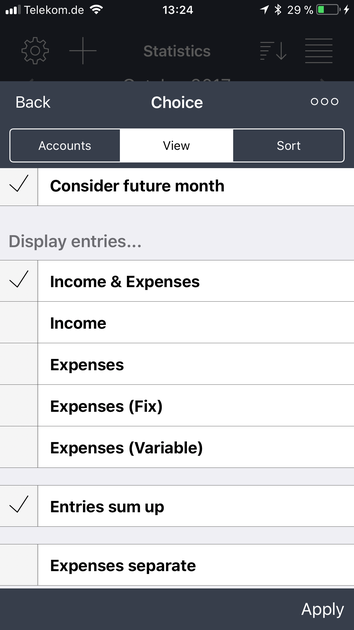 The compact budget view now enables you to also display the absolute value on top of the percentage value, which is still included. 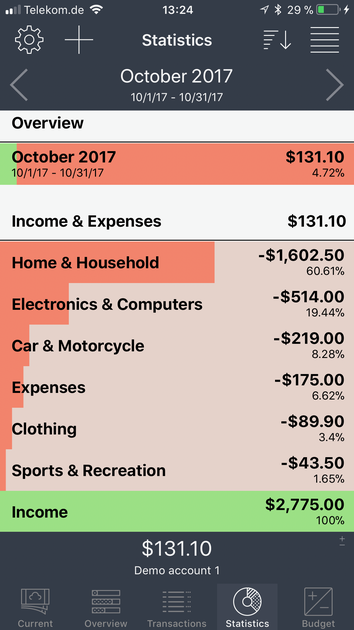 In the display section, we separate the income and expenses of each other. 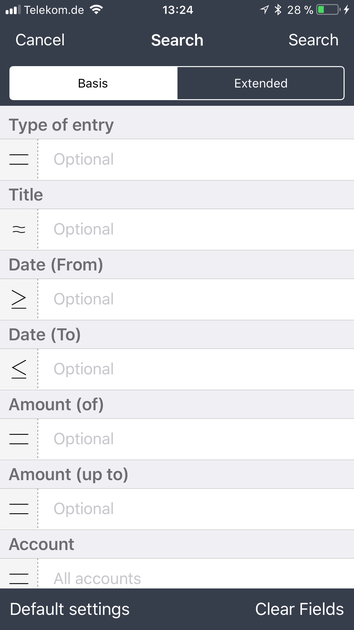 Depending on the setting, the expenses will further be separated in fixed expenses (e.g. 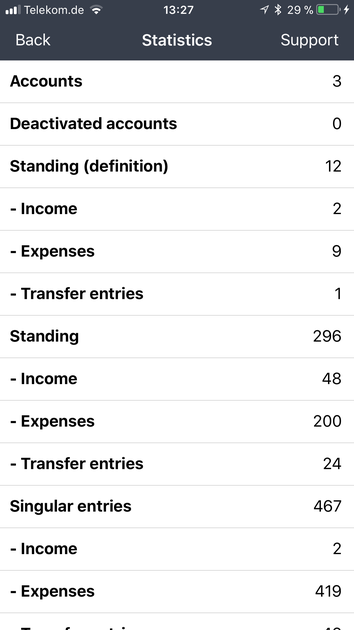 rent, energy, salary, …) and variable expenses (e.g. transport ticket, coffee, pizza, …). 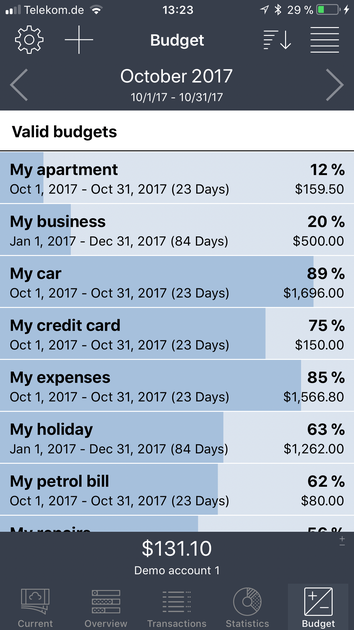 This will offer you an even better summary of how much you money you have to spend as well as your daily requirements. 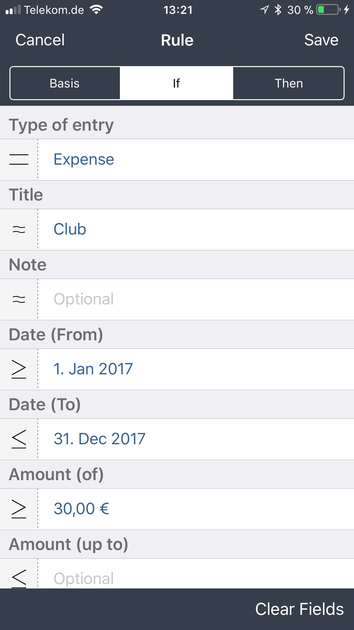 You can set up this enhanced expenditure display by clicking on view with the option „separate expenses“. If you would like to gather all booking entries for the calculation, you will find the option „summarize bookings“ at your disposal. In this case we would not consider whether a booking entry counts as revenue or as an expenditure. The amounts will be added up and displayed per booking criterion. This setting is recommended if different booking entries exist which might be allocated to the same category (e.g. 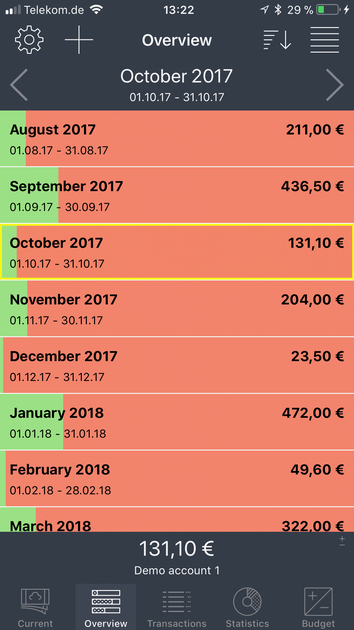 „monthly energy expenses“ and „power bill refund“ which both fall under the category „electricity“) and for which you would like to determine the total amount. The search feature contains further operations for text boxes („contains“ and „does not contain“). 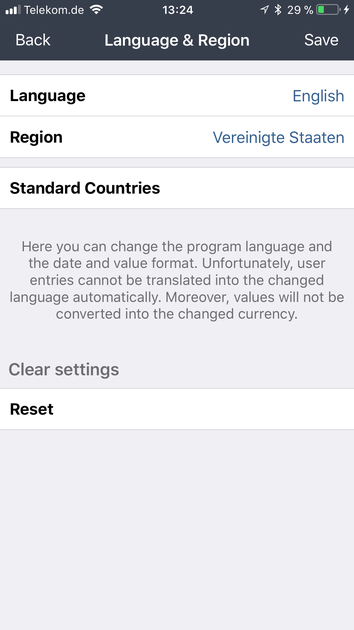 You can choose the language as well as the region in the settings. For the nine countries generating the highest revenue we have implemented the possibility to change these two parameters. 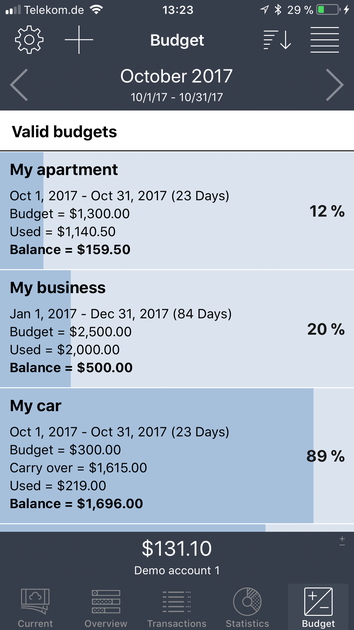 The included widget graphically display the distribution of income to expenses. 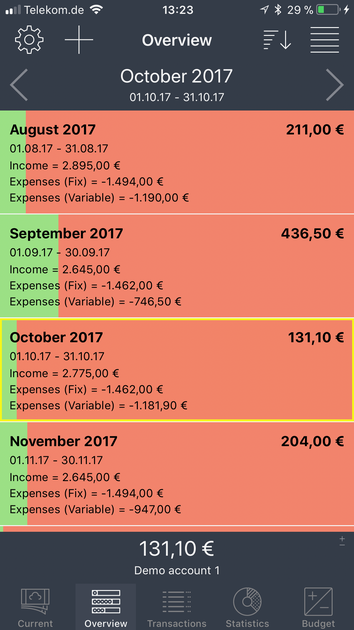 Up until now, only the percentage value of how much money is available has been displayed. 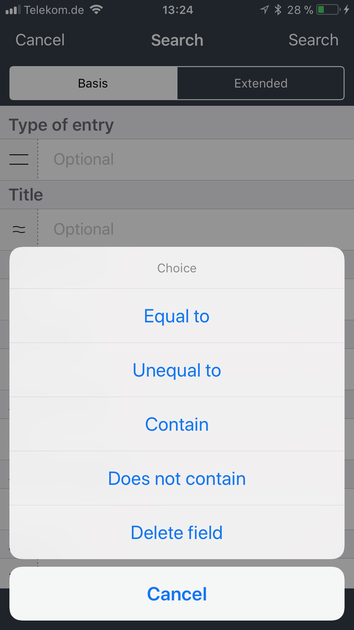 You will be now be able to define in the settings, whether you would prefer the display in percentage or absolute values. 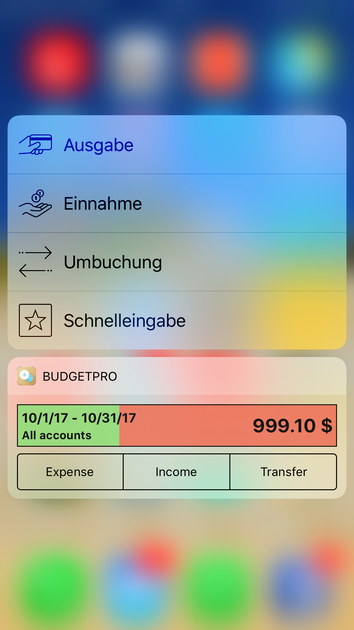 You can furthermore deactivate the widget if you would prefer to not have your financial situation displayed. 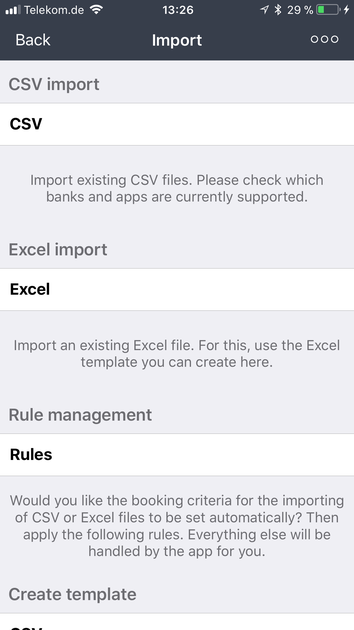 We now support further CSV formats (1822Direct, Bank Austria, ComDirect) so that you can import your account statements. Please inform us in case your bank is not being supported. The features „correction assistant“ and „data statistics“ have been extended due to the rules wizard. You have furthermore the possibility to send us an email if you encounter any problems while using the app. 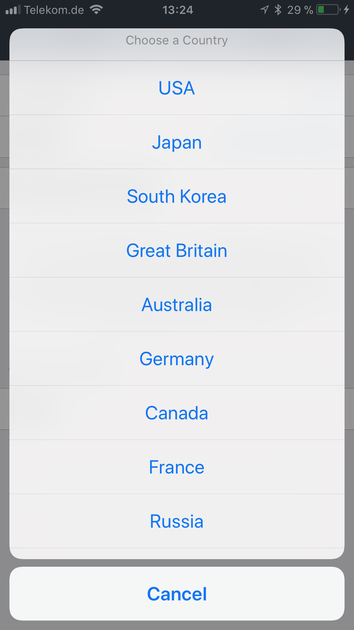 For this purpose you can use the correction assistant since version 4. 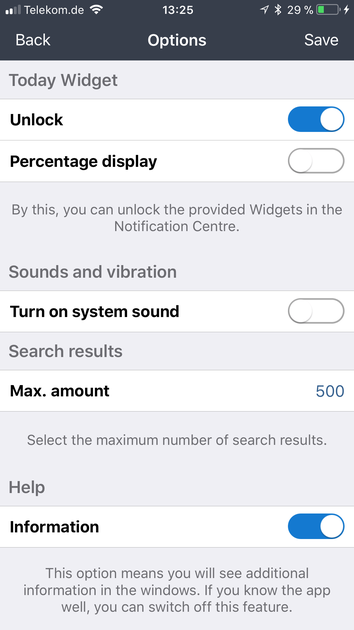 If you do not find this entry in the settings, you will have to activate it in the options. The command „data statistics“, which can be found in the upper navigation bar, now contains a support command. Here, all relevant information will be provided to us. Before sending the email, you have the possibility to describe the problem in a detailed manner. The provided information will help us to find the error.